Aging makes many people stop wearing their favorite shorts, skirts, and even swimsuits due to the formation of unsightly leg veins. If unwanted leg veins are affecting your self-esteem and confidence to wear clothes that reveal your legs or are causing you leg pain we have a treatment that can be customized just for you! Unwanted leg veins include those large, protruding veins that often appear on the legs. Called varicose veins, they are often harmless, though they can be uncomfortable, even painful. Living with leg veins can negatively affect your self-esteem and limit your desire to wear clothing that exposes your legs. Varicose veins the size of your finger while mostly benign and unsightly can also cause a number of medical problems such as thrombophlebitis, deep vein thrombosis and skin ulceration. But, there are a variety of vein removal methods that we use depending on the type of vein we are treating. At Cosmetic Laser Dermatology, our very own Dr. Mitchel Goldman, founder and medical director of our practice, is considered a world authority on vein treatments. Dr. Goldman has published 6 textbooks (one in its 5th edition) and lectured around the world on his advanced vein removal techniques in addition to having written hundreds of peer-review medical papers. With his expertise in vein treatments, as well as the expertise of the other doctors trained by him in our practice, you can be certain that your expectations for removal will be met. What Causes Unwanted or Problem Leg Veins? 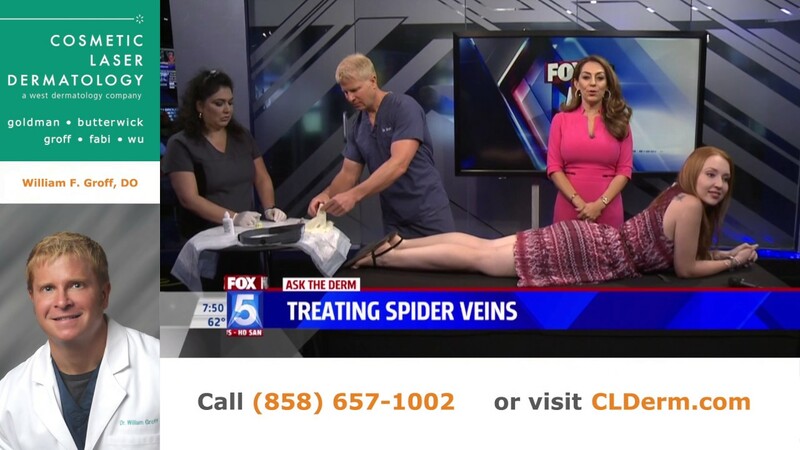 Varicose veins, as well as other unwanted leg veins like spider veins, are considered cosmetically undesirable because they can be unattractive and cause an unhealthy-looking appearance. It’s widely thought that problem leg veins like varicose veins and spider veins develop solely due to aging. While this can be a cause, genetics and sun exposure are also key factors. Occupations that require continuous standing, such as retail, teaching or nursing, are also common contributing factors. Varicose veins are often swollen and appear raised on the surface of the skin while twisting painfully just below the surface. They swell due to a reversal of blood flow that increases the pressure inside the vessel. These veins can cause cosmetic dissatisfaction and make you feel self-conscious about exposing your legs. They can even complicate your health since the unhealthy veins are taking blood from surrounding healthy veins and delaying blood return to the heart. On the other hand, spider veins are smaller and typically appear as red, blue, or purplish veins snaking crookedly but visibly just below the skin. Although smaller, they are also considered undesirable. The removal of spider veins or varicose veins will actually improve your circulation and prevent new veins for appearing as you age – besides resulting in clear, smooth skin. Because of the experience and expertise of Dr. Goldman and the rest of our world-class board-certified dermatologists, our practice offers a variety of cutting-edge, safe, and highly effective vein treatment options to eliminate unwanted veins. In fact, our doctors combine over 100 years of dermatologic experience at our San Diego office. Since the practice was founded, we have treated more than 150,000 patients for a vast array of skin conditions. When you visit our La Jolla office, our experts will address your concerns and learn your aesthetic goals before creating the right leg vein treatment plan for you. 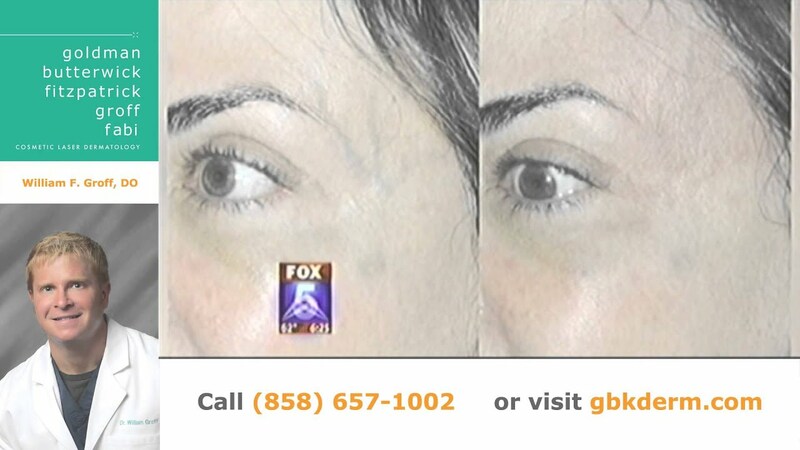 For more information, visit ncbi.nlm.nih.gov or schedule a consultation today at Cosmetic Laser Dermatology. 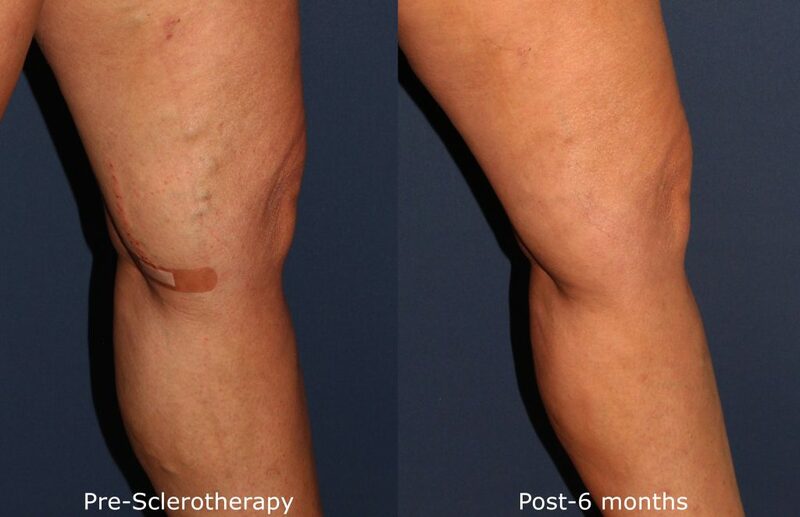 Sclerotherapy is always the first line of treatment for leg veins. In fact, 99% of all leg vein removal treatments are done with sclerotherapy. A very thin needle is used to inject the sclerosing agent, foam or liquid, and causes the vein to collapse and the veins to disappear. Phlebectomy is the surgical removal of unattractive varicose veins that are larger than the size of a finger. It is the physical removal of veins through tiny incisions under local anesthesia. After a phlebectomy procedure, there is no downtime and patients are able to walk right out of the office. Learn more about phlebectomy. Lasers veins treatments are typically used to treat veins that have not been completely erased with sclerotherapy, but this is usually not necessary. Other offices may use lasers for leg veins if they are not confident using sclerotherapy. Since facial veins are different from patient to patient, we use a variety of lasers to ensure that each patient has a personalized treatment that is best for their condition. All of our lasers offer precise treatment with minimal risk to the skin, and we have 8 different lasers just for facial veins, more than any other practice in the country! 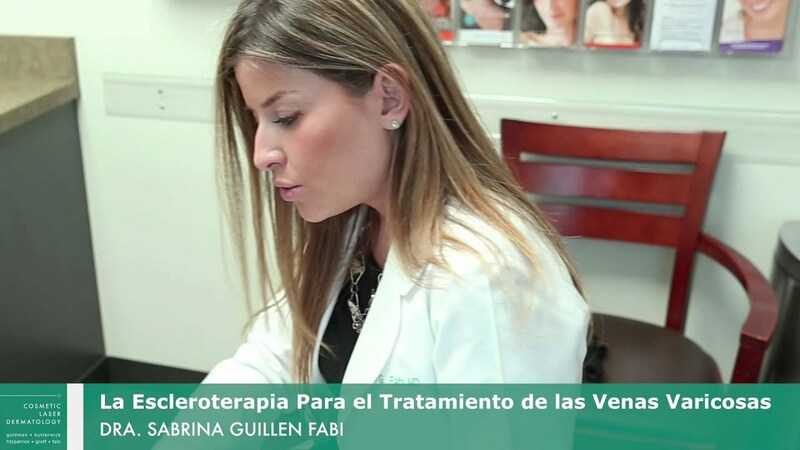 Cosmetic Laser Dermatology is proud to have been one of the practices to have participated in the clinical trials which brought FDA approval to the VenaSeal vein closure system. The VenaSeal system is a unique method of treating varicose veins which does not require anesthesia or compression garments. It differs from other vein treatments such as CTEV or sclerotherapy in that it uses medical glue to close the vein. VenaSeal is a noninvasive vein closure system which uses a medical glue to close the affected vein, thus rerouting blood into healthy veins and eliminating the varicose vein. VenaSeal has been proven safe through clinical trials here in the United States, and already has a proven track record in Europe. VenaSeal uses ultrasound imagery to guide a tiny catheter into the varicose vein and deposit a small amount of safe for the body medical glue to close the vein. After the vein is closed, the blood is rerouted into healthy veins and the varicose vein will disappear. VenaSeal requires only a local anesthetic at the injection site – no need for tumescent anesthesia. Patients can leave the office immediately following a treatment, and there is generally no need to wear compression garments, although whether or not compression garments are needed will depend on the individual patient and their situation. Many patients appreciate that there is often no need to wear uncomfortable compression garments following a VenaSeal treatment, and there is generally not even a need for post-treatment pain medication. During a radiofrequency ablation procedure, radiofrequency waves will heat specific areas of the affected vein, causing it to close. A: This depends on the procedure and the extent of your vein problem. 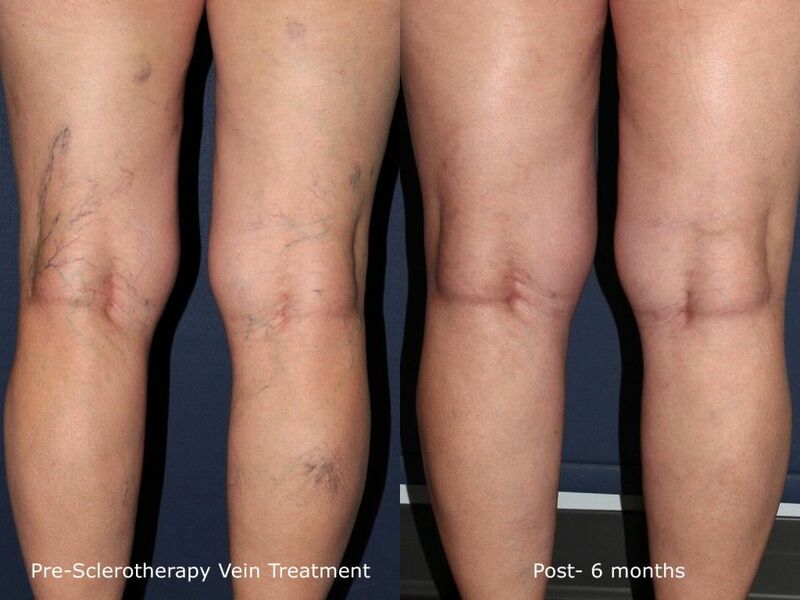 For example, one session typically eliminates 80% of problem veins, though results do vary. Usually, though, you can expect 2-3 total sessions to get your desired results in improving the appearance of the problem veins. A: It depends on the procedure and the extent of your condition. 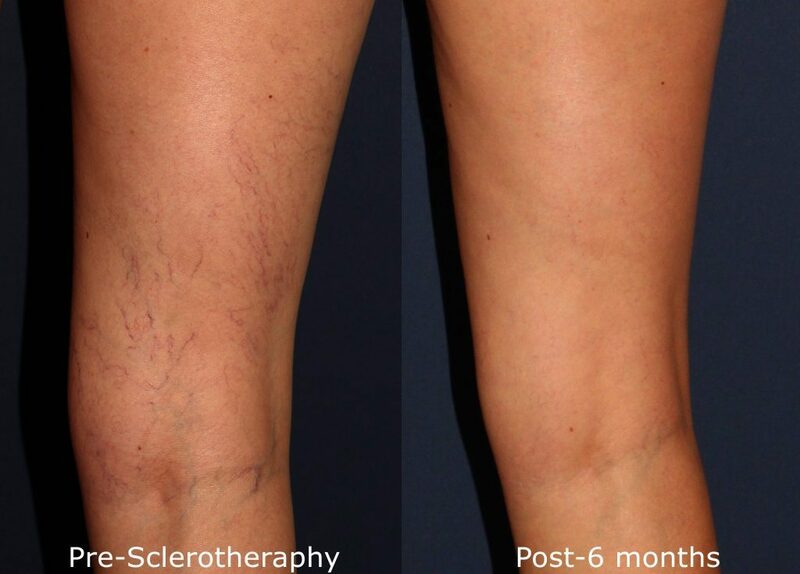 For example, with sclerotherapy, you can start to see results with spider veins within 6-8 weeks although optimal results could take longer. With the larger varicose veins, results are commonly visible in 2-3 months, with maximum improvement usually coming several weeks after. However, results depend on the severity of the problem veins and your overall health and effort in expediting recovery. Q: How much downtime can I expect? A: While it can vary, there is typically no downtime. In fact, we encourage you not to stop your daily routine and urge you to walk every day, so you can encourage good blood flow to help mitigate any risk of blockage and keep swelling down. You’ll be required to wear graduated compression stockings (which we provide) 24/7 for the first week to ensure proper and quick healing, and then for another week except for bathing or showering. If you undergo the VenaSeal procedure, you may not even require compression garments. A: Generally speaking, our vein removal treatments cause little or no pain. Side effects are generally mild and may include redness, bruising, swelling, and itching. These should subside within a week. Talk to our experts to find out more about the possible side effects associated with your chosen vein removal treatment. Q: I’m barely in my 30s, yet I have prominent leg veins – I thought they were caused only by aging? A: While it’s true that aging does play a huge role in the formation of varicose and spider veins on the legs, other factors include genetics, hormone changes, leg injury, obesity, chronic sun overexposure, and trauma. This means that it’s not uncommon to have leg veins in your 30s or in some cases your 20s. Q: As a teacher, I’m on my feet nearly all day. Does this have an impact on leg veins? A: Yes. Jobs such as nursing, teaching, and others that require long hours of standing can also be a major factor in the development of leg veins. Q: Are leg veins a risk to my health? A: It depends. Typically, leg veins cause nothing more than dissatisfaction with the appearance of your legs and/or make you feel self-conscious about them. However, if left untreated, they could compromise your health because the unhealthy veins are taking blood from surrounding healthy veins and may lead to skin ulceration, phlebitis and deep vein thrombosis (DVT). Q: What’s the difference between spider veins and varicose veins? A: Spider veins commonly appear on the face and legs, while varicose veins almost always form on the legs. Spider veins are normally small and appear blue, red, or purplish crooked thin veins appearing just beneath the surface of the skin. On the other hand, varicose veins are raised, swollen veins on the skin surface that twist beneath the skin due to blockages in the vein. Q: What is the best treatment to help reduce or even remove leg veins? A: For most patients, sclerotherapy remains the gold standard for a quick, simple, and effective procedure for completely removing problem veins. However, we also offer phlebectomy, laser therapy, and the VenaSeal vein closure. Q: Who should perform leg vein removal treatments? A: A trusted professional dermatologist who has experience and expertise performing all of the above procedures. If you want to have treatment from pioneers in the field of sclerotherapy, who have written and lectured extensively about the procedure, then you should visit Cosmetic Laser Dermatology for an appointment to see our world-class staff, including Dr. Mitchel Goldman and the physicians at Cosmetic Laser Dermatology all of whom are widely renowned by doctors and patients alike for their expertise in the field of veins and vein treatments.